Tour Activities Deals | Exclusively for Annual Pass and B•KidZanian members only! Exclusively for Annual Pass and B•KidZanian members only! Get two FREE KidZania Singapore Adult tickets and an ice-cream treat (total worth S$72) at selected Esso Service Stations* this October! Simply flash your KidZania Singapore Annual Pass or B•KidZanian PaZZport, together with your Esso Smiles Card to redeem. * The selected Esso Service Stations are Esso Tampines Ave 9, Esso Jurong West, Esso Jervois and Esso Yishun. This promotion is valid from 1 – 31 October 2018 or while stocks last. 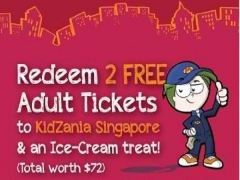 Limited to one redemption per KidZania Singapore Annual Pass or B•KidZanian PaZZport only. 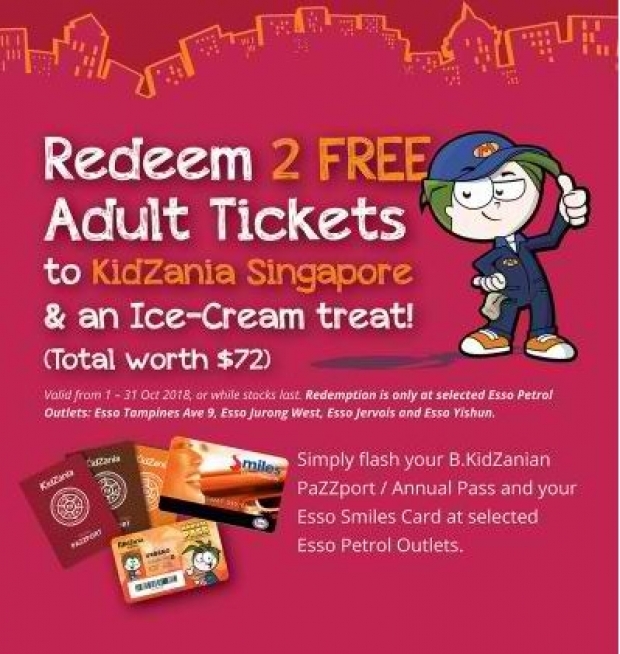 The original KidZania Singapore Annual Pass Card or B•KidZanian PaZZport, and the Esso Smiles card must be presented at the selected Esso Service Stations for redemption. Check out KidZania Singapore for more details about this offer and to see all deals up for grab!